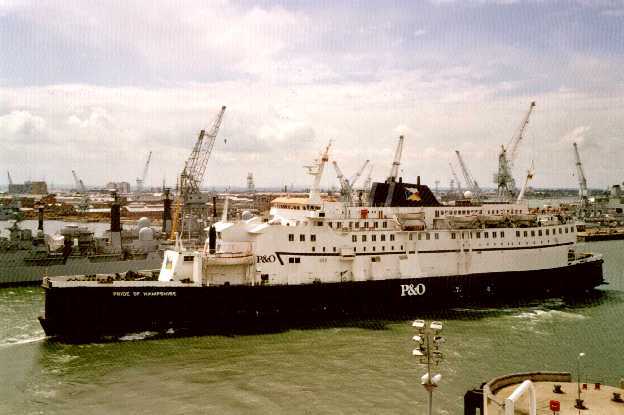 This page has photos of the former P&O Portsmouth's ferries, I mainly used the route to Le Havre though I have been with them to Cherbourg. 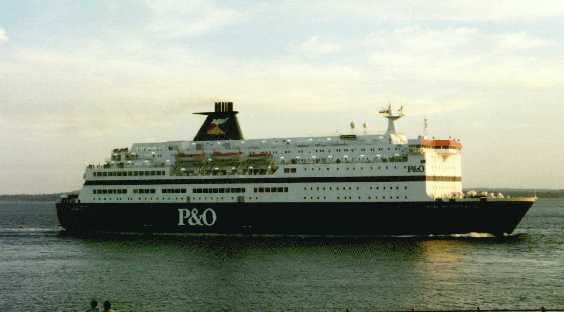 The pair of vessels that were on the Portsmouth - Le Havre route, the Pride of Portsmouth and the Pride of Le Havre were amongst the largest on the channel and had excellent facilities. When I was on my own on a night crossing I usually upgraded to Club Class to take advantage of the large, usually near empty, reclining seats lounge and the complimentary coffee to get me going ready for the dash to Paris or wherever, but the ordinary recliners were fine. Many of the photos on this page were provided by a French friend Stéphanie Dinez. I've concentrated on those I've crossed the channel on, but there are a few that I haven't used. Click on a photo to see a larger version, then use your browser's back button to return to this page. P&O Portsmouth's Pride of Cherbourg leaving Portsmouth for Cherbourg. The Pride of Cherbourg and her sister the Pride of Hampshire will soon be taken out of service due to advancing safety requirements, but are still nice ships to travel on. The other "Super Viking", the Pride of Hampshire. I've only crossed on one of the pair - but I've forgotten which !! P&O Portsmouth's Pride of Le Havre passes Gosport on her way out from Portsmouth to Le Havre. 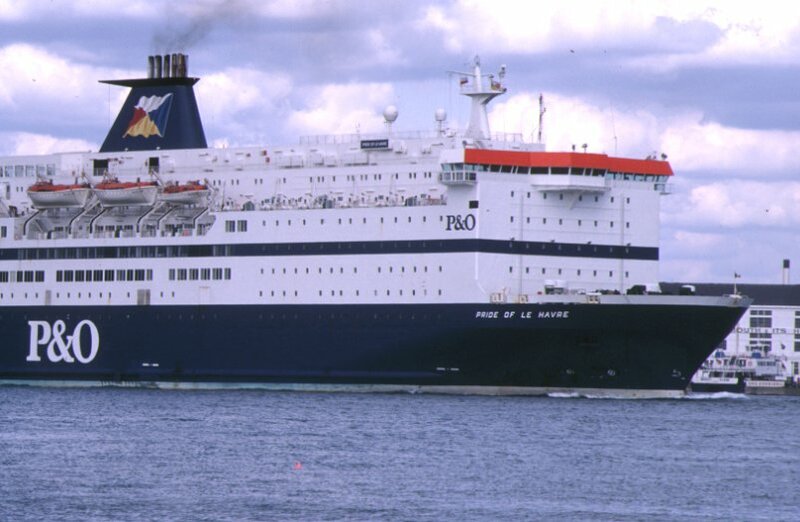 I've probably crossed more often on the Le Havre and her sister Pride of Portsmouth than any other ferries. 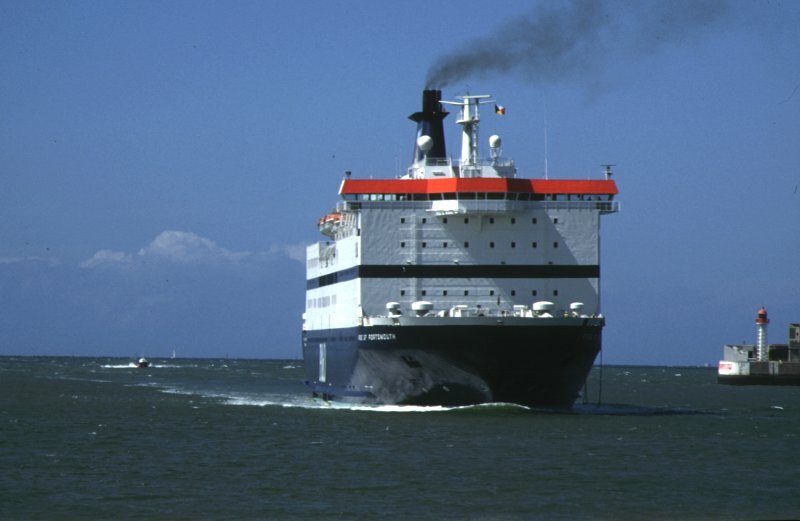 This is just about my favourite view of a ferry - heading towards her to board en route to France. 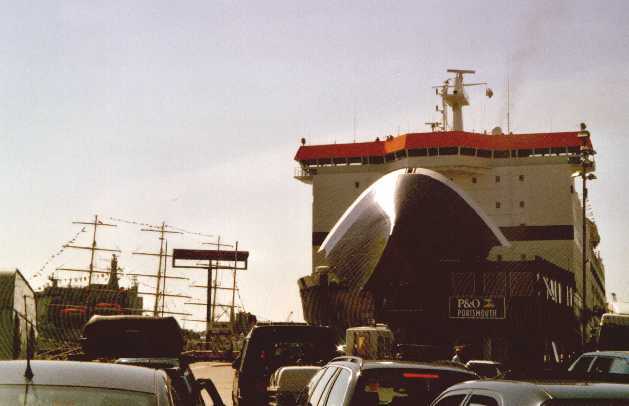 This is the Pride of Le Havre loading at Portsmouth ready to cross to Le Havre. 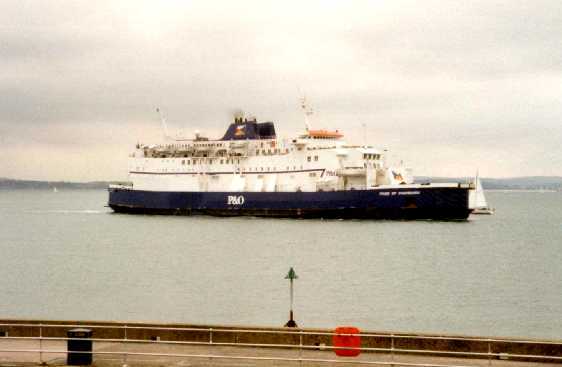 The Pride of Portsmouth arriving at Le Havre from Portsmouth. This pair of ships are very well equipped and give very comfortable crossings. For a night crossing the Club Class lounge is to be recommended, there always seems plenty of room in the Club Class reclining seat lounge and the tranquility for breakfast is a good way to start a day racing down the autoroute to Paris and tackling the péripherique ! The Pride of Portsmouth arriving in Portsmouth, seen from the walk along the old fortifications between Southsea Clarence Pier and Old Portsmouth. It's a nice walk, even if you aren't interested in the ferries.